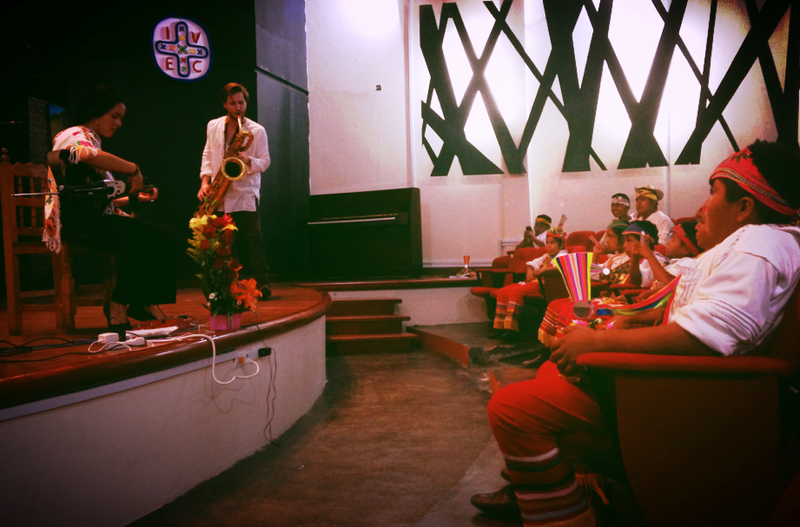 Ben Barson and Gizelxanath at the Centro Cultural Tedoro Cano, Papantla, Mexico, performing for members of the Totonac people. Ben performing at the Brooklyn Academy of Music's memorial service to Fred Ho. The industrial world built by European colonization and genocide reaches its logical destruction. We move forward by returning to the source: practicing ecological sustainability by thinking seven generations ahead. In our music and our being we celebrate the contributions and resilience of Indigenous economics. Ecosocialist Horizons Radio: hosted by Quincy Saul, Joel Kovel, and edited by Ben Barson. Ecosocialist Horizons Hour is a monthly radio program that documents the struggle for a livable planet from activists across the world. "Now, it is true that the nature of society is to create, among its citizens, an illusion of safety; but it is also absolutely true that the safety is always necessarily an illusion. Artists are here to disturb the peace."